Affordable web design Northern Beaches. SEO experts. No ongoing fees. 20+ yrs experience. 200+ websites developed. Wordpress website developer. Website Designer Northern Beaches & North Shore Sydney. Since establishing RAM Marketing in 1996, I have been designed in excess of 200 websites for businesses and charities across a wide range of industries. With over 20 years industry experience, I have the expertise to ensure your business is found and seen by your potential customers every, single day. IMPORTANT : All website design and SEO work is completed by me – not by overseas contractors. This is your assurance that your website and digital marketing is created by a highly experienced, local website developer with 20+ years expertise and knowledge of the Sydney and Australian marketplace and, importantly, customer behaviours. Whether you require a cheap ‘brochure-ware’ website to get your business started, or something more substantial to expand into new marketplaces, or a multi-faceted e-commerce shopping cart that allows you to sell your products to a global marketplace, or something in between, I can help. For the budget conscious, don’t despair – there are lots of solutions available to get your business online. Most importantly, I don’t just design your website and send you on your way. I want your business to succeed as much as you do! I offer the guidance and support required to ensure your website is optimised correctly for a top Google ranking (SEO) and provide you with the training and skills needed to ensure your website continues to dominate the search engines. I can even maintain your website, manage your social media and all aspects of your digital marketing on your behalf. 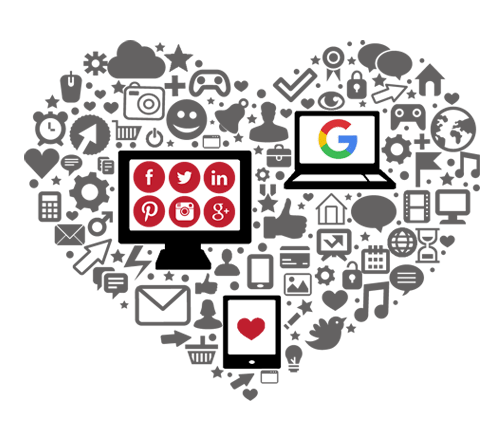 This service guarantees your business keeps abreast of Google’s strict algorithm requirements and your website is being seen by potential customers every single day. We would like to take this opportunity to commend Rebecca Mitchell from RAM Marketing . We have found her to be extremely helpful with very good suggestions regarding our website. We are very pleased with the results. As a small business with no idea of how to design a website and needed to be guided through the process and could not have been happier with the final result. – Sandy Plati, Drip Dry Showers. At RAM Marketing my services encompass everything you need to get your business online and start attracting new customer enquiries today! We would like to take this opportunity to commend Rebecca Mitchell from RAM Marketing . 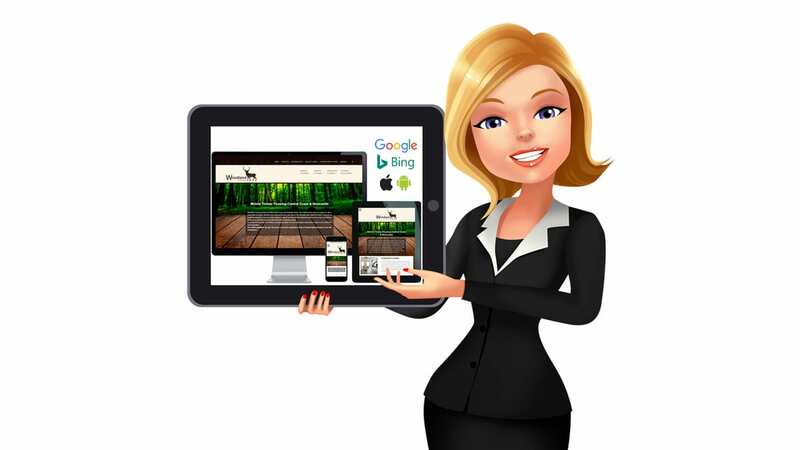 We have found her to be extremely helpful with very good suggestions regarding our website. We are very pleased with the results. As a small business with no idea of how to design a website and needed to be guided through the process and could not have been happier with the final result. – Pam Cuthbert, The Display Man. Each year Sensis releases a report outlining statistics of Australia’s internet usage. Their 2016 report showed that all but 1% of Australian’s have an internet enabled device and, for the first time every, smartphones are the most popular internet device owned by consumers. It’s simple – no longer can businesses not have a mobile-friendly website. Not only is it harder for your customers to view the information on your website but Google has made it very clear that they will penalise websites that aren’t mobile-friendly with a lower search engine ranking. Don’t have a mobile-friendly website? Are potential customers likely to access your website from a mobile device? Will they get frustrated if your website is not mobile-friendly? 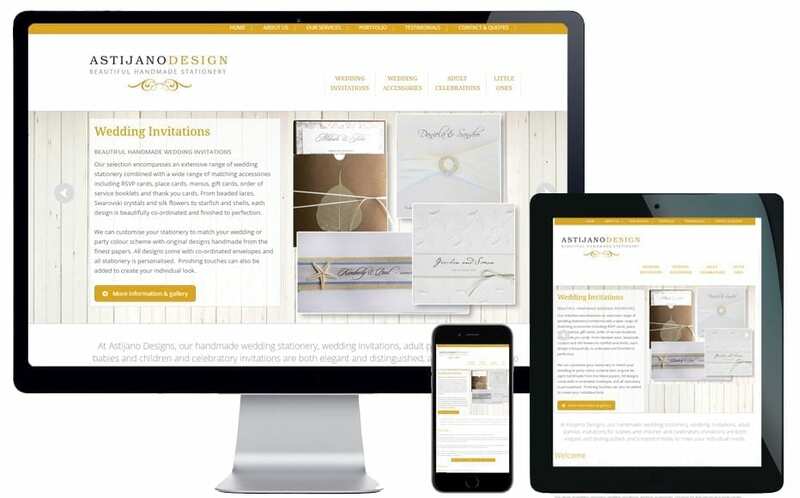 Would there be an expectation in your industry for your business to have a mobile website? Have you competitors got mobile-friendly versions of their website? Will having a non-mobile friendly website represent to customers that your company lacks innovation and, shall we say, is old fashioned? Your website will look great on all computers and hand-held devices (including smart phones) leading to a better user experience (happy customers = more sales / enquiries). Visitors will stay on your website longer leading to an increased change they will contact you or purchase your products. Your website will load faster – makes Google happy and keeps customers online for longer. Mobile users buy more – perhaps it’s our “I want it now” culture? Google rewards mobile-friendly websites with a higher search engine ranking (or penalises websites that aren’t). In short, it’s no longer acceptable for a business not to have a mobile-friendly website. Definition: What is responsive web design? Wikipedia definition – Responsive web design is an approach to web design which makes web pages render well on a variety of devices and window or screen sizes. Recent work also considers the viewer proximity as part of the viewing context as an extension for RWD. The RAM Marketing lay person’s explanation – Think non-mobile friendly websites like a sheet of paper with all the content “stuck” to the page. If you viewed that page on a mobile phone, it’s just a smaller, shrunk down version of the page. The text, images and page content is simply shrunk to fit on the screen. You need to use your forefinger and thumb to magnify (pinch / squeeze) the text so you can read it. It’s just not practical. The page content on a responsive website “floats” so when you view it on a small screen the elements on the page are able to move around to fit the space. Images may line up underneath each other vertically. Text automatically increases to a legible size. Button increase and become easily “clickable” by a human sized finger. It’s seamless, practical and easy to use. For more information about upgrading your website to a new, responsive design that will look great on all devices, contact Rebecca Mitchell direct for a quote.